The legend says that in the 1930’s Robert Johnson sold his soul to the devil at “the crossroads” to become a great blues musician. Well, I can tell you that those crossing roads are Highway 61 and Highway 49 in Clarksdale, Mississippi right next to Abe’s Barbeque and what used to be the Delta Donut. I know this because my childhood home of seventeen years was 1.5 miles from that spot. Living in Clarksdale ignited my love for the blues. Muddy Waters grew up in a shack not too far from my high school. I spent summers going to blues festivals and blues musician Sam Myers stayed at my family’s lake house once, during one of those festivals…such a great memory. Years later, while singing with my band in clubs on Beale Street in Memphis, I always made my way to places like BB King’s and Rum Boogie during breaks and after shows to hear some good Memphis blues. Along with my hometown, my brother was definitely a strong influence to my love for music and specifically the blues. I sat in the corner of the garage many nights listening to his band rocking the songs of many blues greats. Almost thirty years later, he’s still singing the blues in a band called The Delta Royals (www.thedeltaroyals.com). One musician in particular that my brother introduced me to was Buddy Guy. Although he’s considered “Chicago Blues,” Buddy has always been one of my favorites. The first time I saw him perform was in the late nineties at the Memphis in May festival. I was blown away at how he played that black and white polka dotted electric guitar. He was incredible. 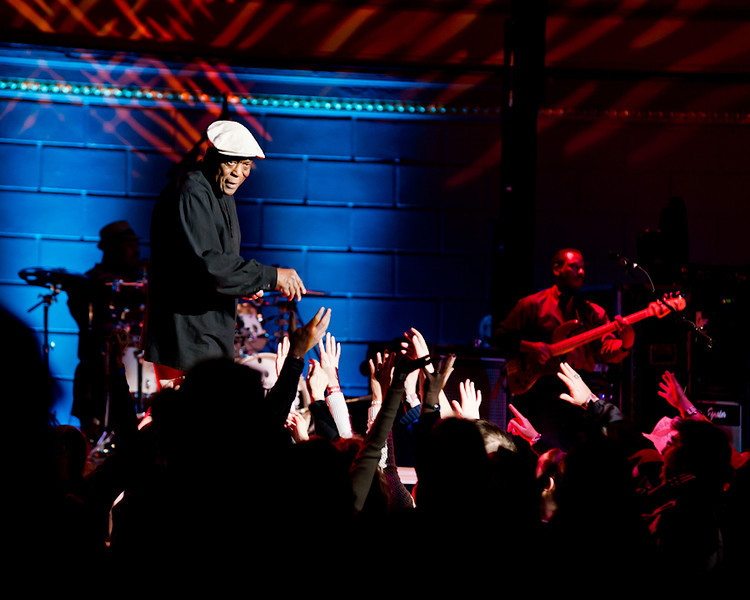 Fast forward to the present, and at age 76, he’s still got it. 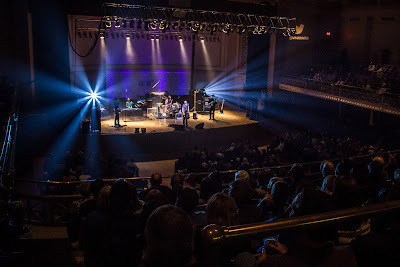 I was able to see him at the War Memorial Auditorium (WMA) downtown Nashville on March 1st. The WMA has recently been revived as another great Nashville music venue. It’s beautiful architecture is just icing on the cake to its near-perfect acoustics and intimate atmosphere. Getting close to 100 years old, the WMA has an extraordinary history that includes being home to the Nashville Symphony, the Grand Ole Opry, and stage to hundreds of artists including David Bowie, The Eagles, Ray Charles, KISS, Robert Plant and now Buddy Guy. 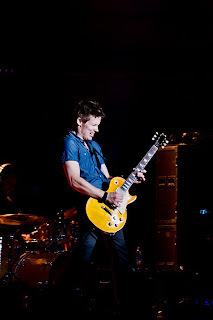 Jonny Lang opened for Buddy, which made for an amazing show. I had an extra ticket and decided to take Caroline Lewis, a young guitar student I know, so she could experience the talents of two of the greatest guitar players ever to take the stage. In the age of over produced computer generated pop disasters, I have decided to make it my personal mission to expose as many of the new generation that I can to real music. I made sure Caroline took it all in, experiencing the playing abilities, tone, stage presence and raw talent unfolding before her. After the show, I told her to focus on guitar players like Eric Clapton, Jimi Hendrix, Stevie Ray Vaughn, Jimmy Page, the two we just saw and all the others I could recall. I explained to her how the popularity of musicians like those is dying out and being replaced by the Justin Beibers of the world. Fortunately, she realizes what a tragedy it is and plans to stay invested in becoming a guitar player modeled by my list of authentic musicians. Join me in taking the advice from Crosby, Stills, Nash and Young to "teach your children well". Nashville and all around it provides some of the best classrooms in the country, the War Memorial Auditorium included.